Zucchini season is upon us! And anyone who grows zucchini knows that it grows in abundance. 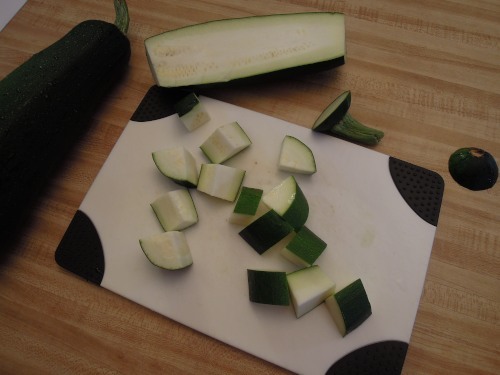 The question for zucchini growers is what to do with it all? My kids and I have a couple of plots that we tend at our church’s community garden, but we are novices. 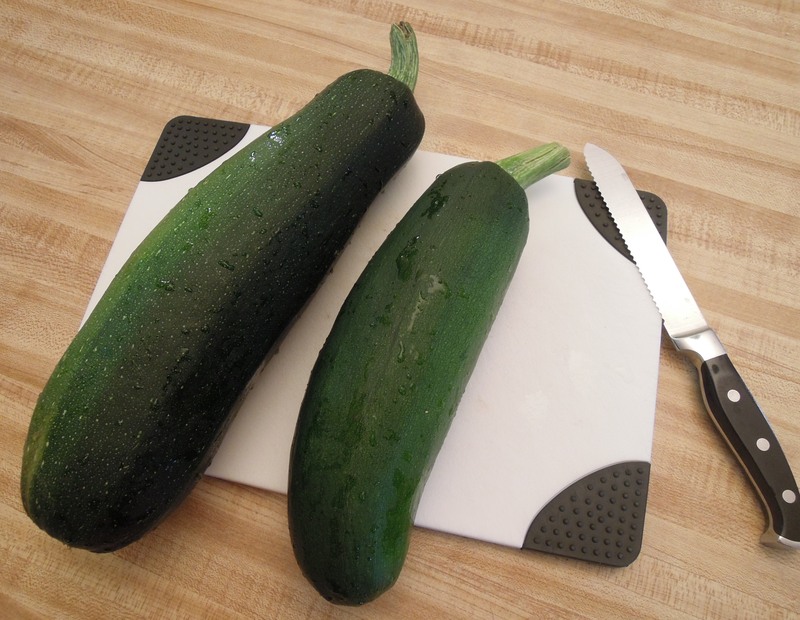 We can’t tell you much about how to amend your soil or what to plant where or when or how to get rid of those lady bug looking bugs that eat up all your broccoli, but WE CAN GROW ZUCCHINI. Gardening in Colorado is not easy since we tend to be either dry with no rain at all or we are flash flooding with tons of hail. It’s amazing that anything grows and survives the whole summer at all. After our first summer of gardening and being introduced to zucchini bread, cakes, muffins, and boats, my kids became big fans. When it was time to plant our garden this year, their only real stipulation was that we needed to plant lots of zucchini. We got lots. If you too “got lots,” I highly recommend this bread, these muffins, and the sausage stuffed zucchini boats I shared last year if you haven’t tried any of those. 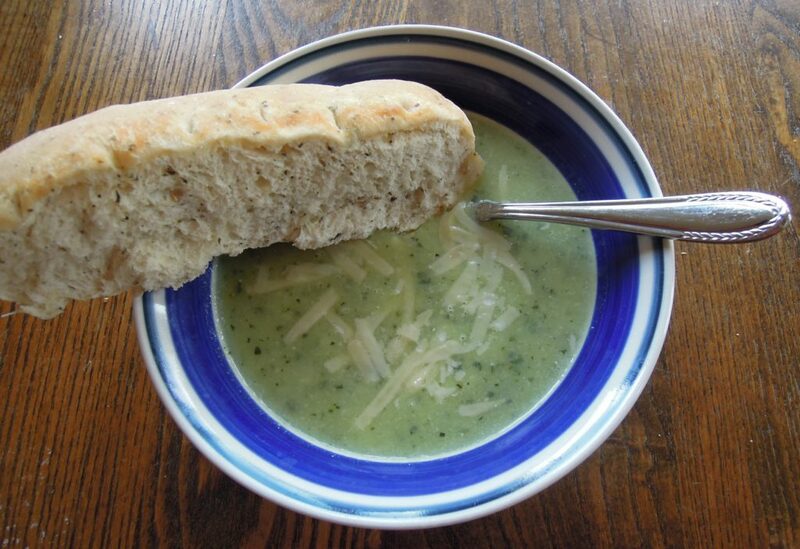 At the end of last summer, I tried this zucchini soup recipe I am sharing today, and I was pleasantly surprised. The kids liked it. Terry and I liked it. 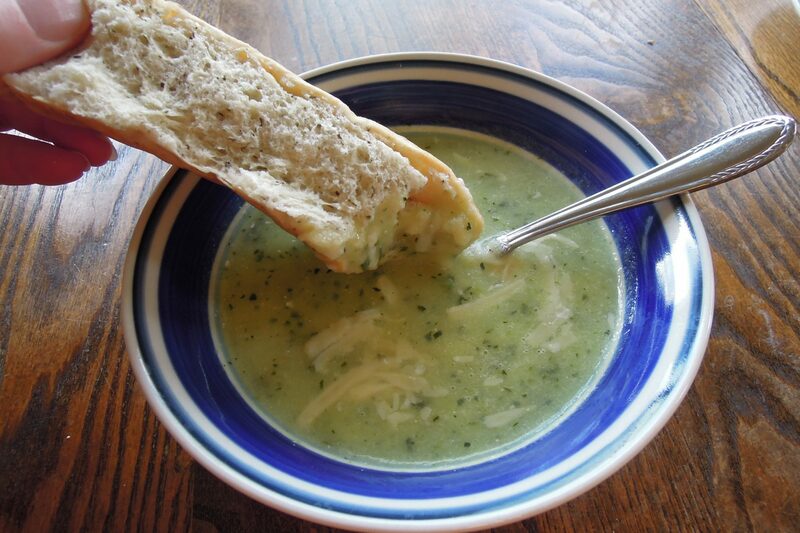 It is easy and skinny and yummy and uses some of that zucchini you have lying around. Even though I remembered that the kids had liked this last summer, I was skeptical when I made it again last week, but I needn’t have been. They LOVED it, and they even insisted on having the leftovers two days later. It was seriously a hit. 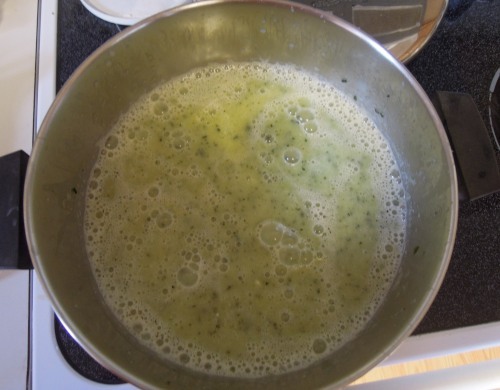 There’s not a lot to the soup–some zucchini, onion, and garlic softened in chicken broth and then blended with a dab of sour cream for creaminess. 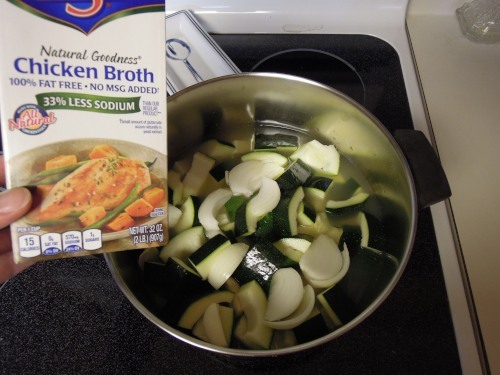 It is light enough that I would serve it as a starter or accompaniment to a salad or sandwich. It was perfect for us last week served alongside our BLTs. 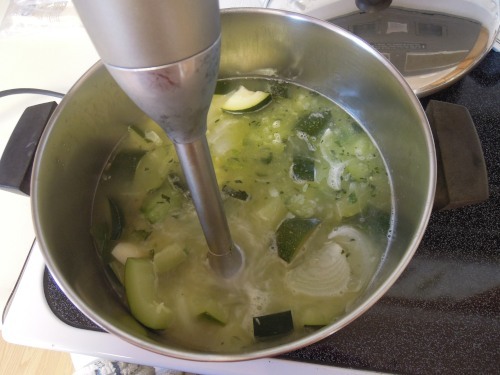 Place zucchini chunks, onion pieces, garlic and chicken broth in a large pot over medium heat and bring to a boil. Lower heat, cover, and simmer until tender, about 20 minutes. Add the sour cream and puree again until smooth. Add salt and pepper to taste. 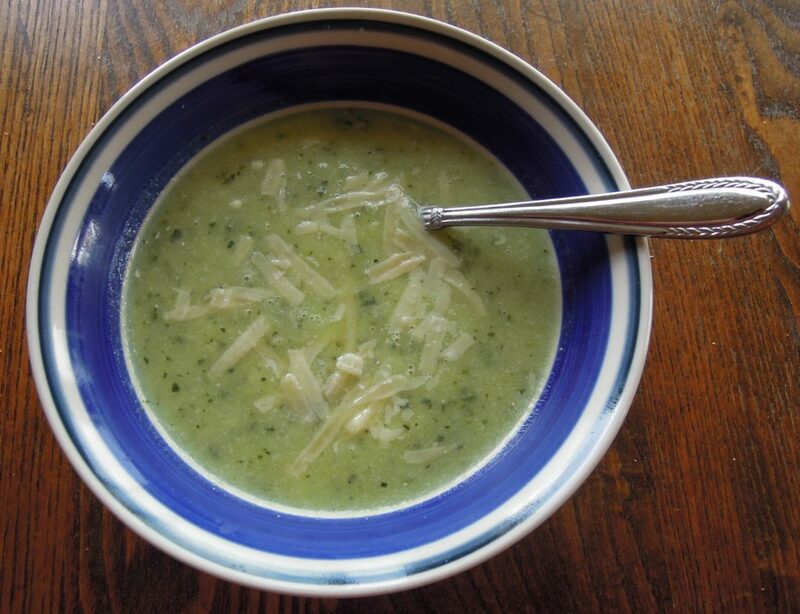 Top individual servings with grated cheese if desired. Serve hot.